A typical art museum exhibit contains pieces of art, each accompanied by a block of explanatory text. Sometimes this text only includes the basic facts of artist, title, country, date, and provenance. Other times, wall text is lengthier, giving detailed information. What materials were used, and how did the artist use them? How long did it take to make the work, and what changes did the artist make over time? Who or what influenced the artist, and what is the artist trying to convey? What, in the artist’s own words, is the piece all about? We can often learn the answers to these questions by reading the text on the wall, or by taking a guided highlights tour. But what if we could actually see the answers unfold as they happened? What if we could watch artists transform materials, speak about their work, and try one technique and then another? Wall text and traditional tours are useful for understanding art, but museums need not limit themselves to these two methods of conveying ideas. As a museum educator, I have enjoyed trying a variety of art-centered activities, designed to reach diverse learning styles and allow for a more holistic interpretation of the art. I have also had the opportunity to see creative forms of art interpretation as a museum visitor. I have seen art interpreted through museum theater at the National Museum of Women in the Arts (NMWA), and through dance at the Corcoran Gallery of Art. At the Torpedo Factory Art Center, visitors can watch and chat with artists as they work, a chance literally to watch the creative process unfold. Works by Maria Sibylla Merian. Photo by Laura DiSciullo. At NMWA in 2011, actors performed three short one-act plays in the galleries to bring the art of their Trove exhibition to life. One of these Trove Trilogy plays featured an artist interacting with the fictional broom-person she painted. This sketch fascinated me the most, as it showed an artist’s conceptualization of her own creation. 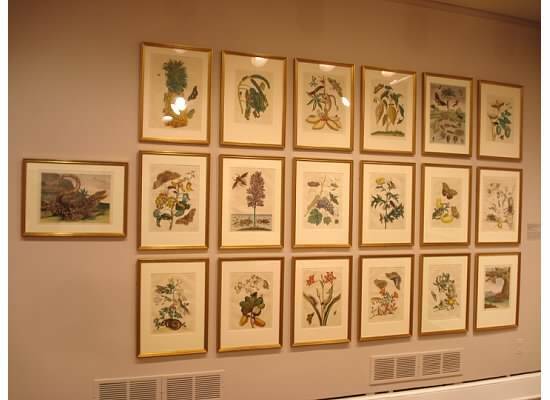 Another play portrayed an interaction between photographer and subject, and finally, another play depicted an artist (Maria Sibylla Merian) at different points in her life and in her career of researching and making engravings of rainforest flora and fauna. These plays all served to help visitors understand the art by creatively helping visitors to understand the artists. You can read more of my thoughts on the plays here. The idea of experimentation may be daunting, but the results can be quite enriching. As noted in the Elastic Manual, “It is the closest thing so far to working in line with how artists cre­ate.” The Elastic Manual does not give a specific checklist of what makes a project experimental, let alone give a step-by-step list of how to implement such a project. Instead, it offers guidelines and things to keep in mind when embarking on any of the many kinds of undertakings that are unconventional and experimental. I read the manual as a statement that is deliberately open-ended, with a focus on trying new out new ideas – and letting creativity happen as it will. SERIES NOTE: This post is part of a series from ArtMuseumTeaching.com designed to respond to and grow from the ideas explored in An Elastic Manifesto for Museums & Artists, first presented at the 2012 American Association of Museums Annual Meeting. If you have your own response or project to share, please contact me via Twitter @murawski27. And to help make this more of a conversation, we encourage you to add your thoughts or questions below. See all posts in the series by clicking here. Does St. Louis Art Museum has a “living room”-like space of its own? I personally feel that the areas for audience to rest is large enough (couches in each gallery and cafe area), but maybe some space for people to discuss, enjoy and think (separate from the gallery rooms) would be better! I assume that you are responding to the post on The Living Room Project at the Gardner Museum. No, the Saint Louis Art Museum does not have a “living room” space designated for these functions, but they do try to have sofas and areas for visitors to relax and look. And perhaps there will be some interesting spaces inside and outside the new expansion (which opens next year) for such experiences. You do bring up an interesting question for me about whether museums need to have spaces like this set aside, or if the galleries should primarily serve as places and spaces for social engagement, creative experiences, etc. Without education classrooms and spaces (due to construction), we’ve been forced to think about galleries as learning spaces in more direct ways, hosting all of our teacher workshops and student programs in the galleries (including some studio projects). It has been an interesting experience to see how far one can push a gallery space toward becoming a space for teaching & learning. Thank you for comment! Your work sounds exciting; please keep it up! I’d love to design a space like this someday!